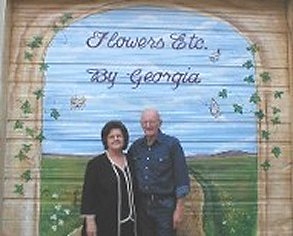 At Flowers Etc. by Georgia, we customize designs with you in mind! 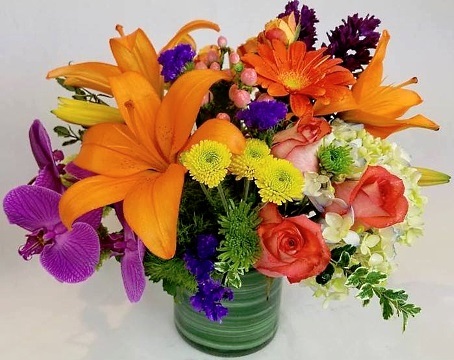 We're a local Houston, Texas florist delivering courteous, professional service and the highest quality floral and gift items around. Our designers can create floral arrangements that will complement any occasion and meet your budget and style expectations as well. We also offer daily delivery service to all local funeral homes and hospitals. We hope you enjoy your online shopping experience with secure 24-hour ordering at your fingertips. If preferred, you may call us to place orders direct at 713-524-3989 or 1-877-524-3989. Sometimes you just want to add a little something extra as a keepsake or to personalize an item. We offer lots of inspirational add-on gifts that make thoughtful memorial gifts and keepsakes. Include a throw with your sympathy flowers or just a throw on an easel that can be removed and given to a family member to comfort them after the service. Call or stop by our shop in Houston. Choose from our nice selection of green plants, blooming plants, dish gardens, fruit baskets, gourmet baskets, goodie baskets, snack baskets, gift baskets, Aromatique spa baskets with lotions, bath powders, sprays, perfume spray, soaps, etc. We also have baby gifts, candy, home decor, silk flowers, plush stuffed animals and balloons, as well as a variety of spiritual items, crosses, praying hands, plaques, angels, throws, Trapp Candles, items for fishing, hunting, sports, etc., crystal, ceramics, oriental and much more. Our beautiful selection of high-quality flowers and eye-catching design styles are sure to bring rave reviews at any large or small event. We are ready to help you plan the flowers and on-site decorating for a wedding, party, corporate function or other special occasion. Call Flowers Etc. by Georgia in advance at 713-524-3989 or 1-877-524-3989 to schedule your consultation.